After a series of disappointments from the Powerball lottery draw, the Powerball draw finally yielded a jackpot winner. This is after one ticket matched the winning numbers from the July 13 midweek Powerball lottery draw. The winning Powerball numbers from the draw were 7, 10, 14, 33, 57 with the Powerball winning number being 18. 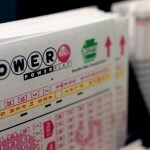 The winning ticket holder will have to choose and the lump payment of $240 million spread over 30 annual installments or a onetime lump payment sum of $159.7 million. 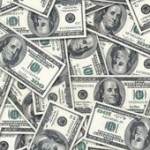 Apart from the single jackpot winner, five more tickets matched five of the winning numbers to each scoop the second tier one million dollar prize. With the jackpot win, the Powerball lottery jackpot will go back to basic. 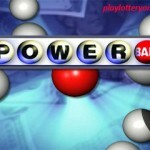 Powerball officials estimate that the weekend Powerball draw will be worth $ 40,000,000. For a chance at the juicy draw, lotto players can purchase their lottery tickets online. Onto other lottery news, two UK Lotto players matched the winning numbers from yesterday’s draw to win the £2.4 million jackpot prize. The winning numbers from the draw were 12, 25,29,34,45 and 47 with the bonus ball number being 16. In addition to the two jackpot winners, five tickets matched five of the main winning numbers, plus the bonus ball number to each scoop the £150,801 second tier prize. Just like the Powerball lottery, the jackpot prize will go back to its basic. 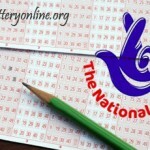 A £4.1 million jackpot prize will be on offer to the UK lotto players. The next UK lotto is slated for the weekend.